The West Papuan people are crying for their freedom. Please sign this petition to show your support. The world's longest‐running military occupation and genocide has killed more than 500,000 people, is destroying the world's second‐largest rainforest and 50,000 years of civilisation. Without international intervention, there is real fear that the West Papuan people, and their lands, will become extinct in our lifetime. This very petition that YOU can sign now has already been signed by 1,804,421 people inside West Papua. That's an estimated 70.88% of the population, making it the largest grassroots democratic act of expression in West Papua's history. Please stand in solidarity with the 1.8 million people calling on the UN to act urgently on West Papua. Scroll down to see the petition in full. Under threats of arrest and torture West Papuans have literally risked their lives to sign this petition in the hope their voice will reach the UN. Indonesia have criminalised and banned this petition, and arrested people for signing it. West Papuan leader Yanto Awerkion was detained by Indonesian police for 9 months, facing charges of treason, and 15 years in jail, but thanks to an international campaign was released in May. There is a reason why so many people have not heard of West Papua. The Indonesian government strictly controls any news on the region, and routinely arrests, imprisons and deports journalists. NGOs are also strictly monitored. The people of West Papua are reliant on the international community to make sure their voices are heard. We believe with enough support the UN, and others in power, will be forced to act. Please also share it with your friends, family and all of your networks. As concerned citizens from around the world, we call on you to urgently address the human rights situation in West Papua and to review the UN's involvement in the administration of West Papua that led to its unlawful annexation by Indonesia — and the human rights abuse that continues today. - put West Papua back on the Decolonisation Committee agenda and ensure their right to self‐determination — denied to them in 1969 — is respected by holding an Internationally Supervised Vote (in accordance with UN General Assembly Resolutions 1514 and 1541 (XV)). To receive regular updates from the Free West Papua Campaign, please subscribe to our monthly newsletter here. Thank you for signing our petition calling for the UN to appoint a special representative to investigate the human rights situation in West Papua and to ensure self-determination through an independent and internationally supervised vote for independence. Thank you again for signing this historical petition for West Papua. In total 1.8 million West Papuan's and people from over 185 countries signed in solidarity. But Yanto Awerkion is still in prison for signing the same petition you did. Please help us to #FreeYanto. His court date is on January 9th! so we have a few days.. Please follow the link to the Free West Papua Campaigns website for the actions you can take. Solidarity & thank you to everyone around the world who joined our petition. It has been signed by 170,000+ people from 185 different countries,demonstrating the depth of solidarity for West Papua across the globe. Along with voices from West Papua, the petition is now on it's way to the 72nd session of the United Nations General Assembly in New York. 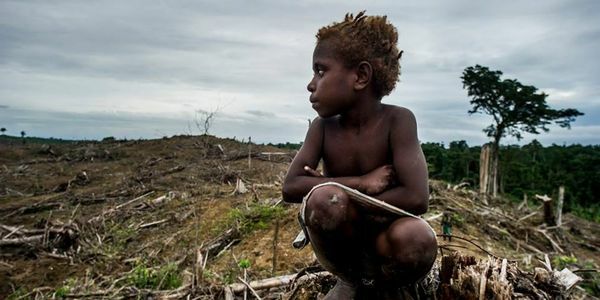 Thank you very much for signing our petition calling on the UN to act urgently on West Papua. Thanks to you, this global petition has been making waves as we enter the last week before the petition is swum 30-hours across Lake Geneva on August 29-30! We need one final push of international solidarity with Yanto Awerkion, who is still being held in prison for signing, and for the people of West Papua. Let's get their voices heard at the UN this August. Please share across your networks again.